With all the current controversy surrounding loom bands at the moment we decided it is essential to clear up a few common concerns, and set your minds at ease by answering a few of your questions. We, at Loomband.co.za are passionate about our product and genuinely care about you. Can loom bands give you cancer? The actual loom band itself has not been proven to have any carcinogenic chemical additives. The concern arose when tests run by the Birmingham Assey Office proved that there where traces of phthalates in the unofficial (knock-off) loom band CHARMS. The cheaper charms contain 500 times more phthalates than the legal limit, which in the UK is 0.1%. What is the difference between the cheaper brands and Loom band’s products? In short, the difference is in the quality which not only allows for better looking and longer lasting Loom band bracelets, but also reduces the likelihood of the bands snapping. Phthalates is a chemical additive widely used to increase the flexibility, durability and longevity of plastic products. Sadly 2 decades of research on phthalates have proven that it disrupts the endocrine system. The compound migrates from the plastic into the body, if it comes into contact with sweat or saliva, and enters the endocrine system, mimicking oestrogen. The effects of this chemical can only be seen if one is exposed to significant amounts of the chemical, over extended periods. 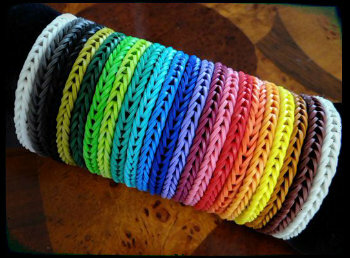 Loomband.co.za adheres to strict importing standards and only sells products from reputable suppliers. Whilst we do not in any way deny the health and safety warnings which are now associated with the unofficial product, our stock is good quality and meets the necessary health and safety requirements. Loom bands aren’t ideal for children under the age of 3. The little ones may be more inclined to put any of the small parts in their mouths which could then become a choking hazard. Don’t fret; some articles appear to have been written to scare people. Loom band products are actually safe when used under the supervision of an adult. The Loom band itself can easily be flicked or snapped which can result in injury. In one case a little boy has incurred serious damage to one of his eyes, resulting in blindness. Loom bands can have been known to hinder circulation when using fingers as a loom. 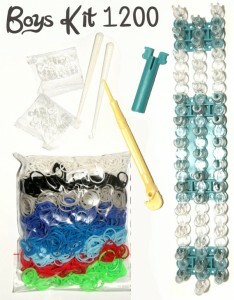 Rather use a real loom; you could also even use an old plastic fork. So there’s no reason to give up the best new hobby since the advent of the yo-yo, just be aware of the possible dangers so that you can avoid them. Do Loom bands cause cancer? You can be confident that our Loom band products are safe for you and your children to spend hours; days, weeks looming whichever masterpiece your heart desires.